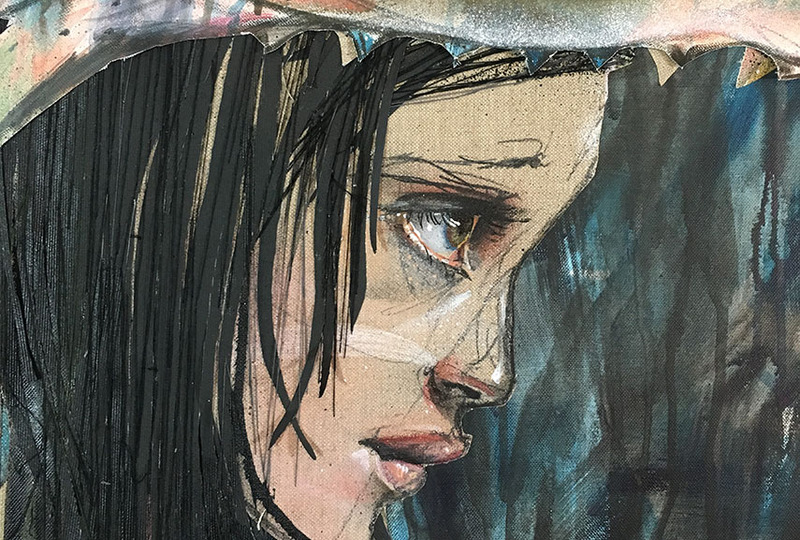 The captivating Herakut street art has been a part of the international graffiti and street arts scene for over a decade now, spread across many cities around the planet. 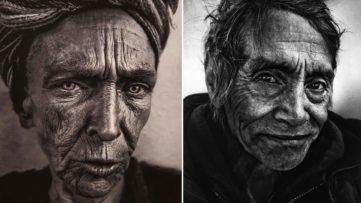 Composed of two very talented individuals, the duo has been using spraypaint and walls to recognize and pay homage to the neglected communities like the homeless and the refugees, creating unforgettable portraits that combine the best of each member. 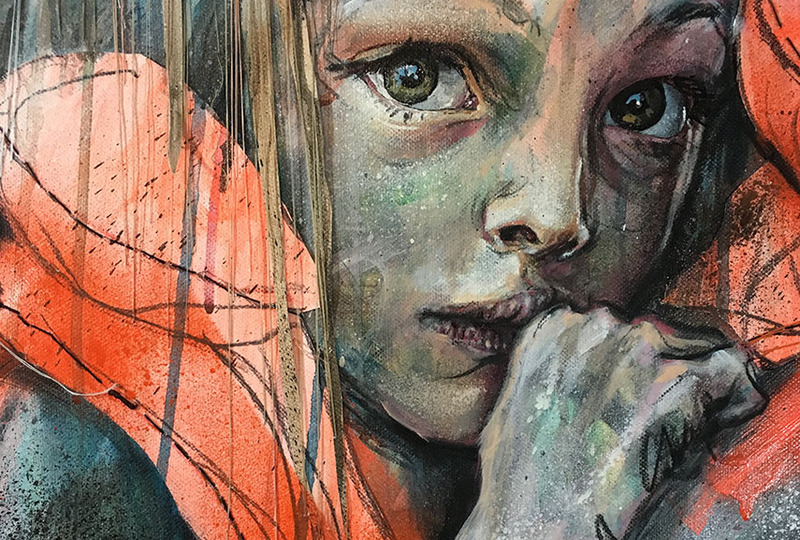 After painting a mural in the 13th arrondissement of Paris, Herakut will have their very first solo exhibition in France, hosted by the renowned Galerie Mathgoth. 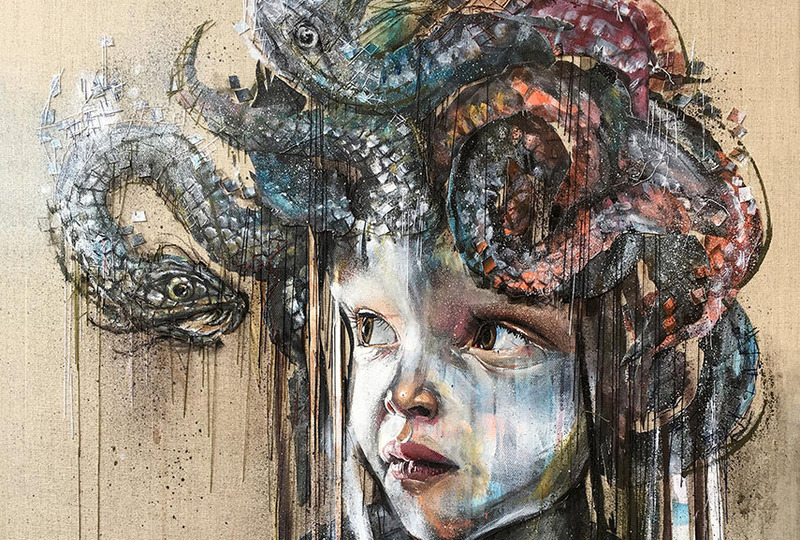 Herakut was born in 2004, when two German artists agreed to unite their talents into a single, successful endeavor. Jasmin Siddiqui, better known as Hera, and Akut, whose real name is Falk Lehmann, have been traveling across Jordan and Germany, meeting with refugees and creating murals inspired by their devastating stories. Hera’s focus on the outlines and the limited color palette, combined with Akut’s elaborate photorealism and precision, result in large-scale works which are often accompanied by written messages, upon which the artists agree a priori. Herakut street art usually derives from their interaction with children and teenagers, through workshops and school engagements. In the past two years, they worked with youth in refugee camps in several cities across their homeland Germany. Titling their French debut Douce Folie, Herakut invites the viewer to plunge into the themes like the madness that inhabits us and the one that surrounds us. Their very detailed, never before seen pieces made of several pieces of fabric sewn together, including three embroidered collages by Hera, will now be on view – as part of a universe populated with characters from poetic tales: fairies, princesses, unicorns and fish that speak. Lately, the duo has been trying to depict our world through a child’s imagination, where reality is made of pettiness, mad and ruthless politicians, and individuals absorbed by power, and systems that make no sense to sensitive people. In order to create a buffer between the mind and the constant flow of negative information, we must involve imagination, to shield us from the harsh truth. 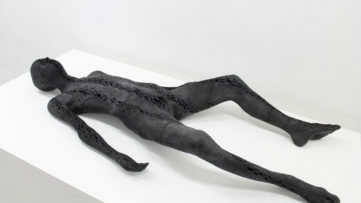 These will not be hallucinatory delusions, but simply a peace of mind induced by pure acts and expressions of imagination, which aims to stay with us even after we’ve seen the exhibition. 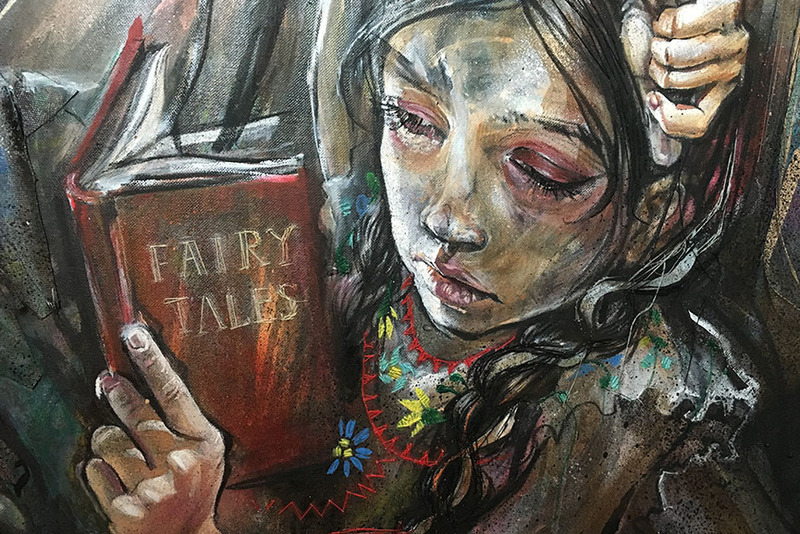 Herakut street art will bring us back to our childhood, the age of innocence, a time where we thought anything was possible. Although that is, of course, not possible, we can at least enter a fabulous world that goes beyond the tangible and turns into an inner journey, where we can once again dream jauntily. 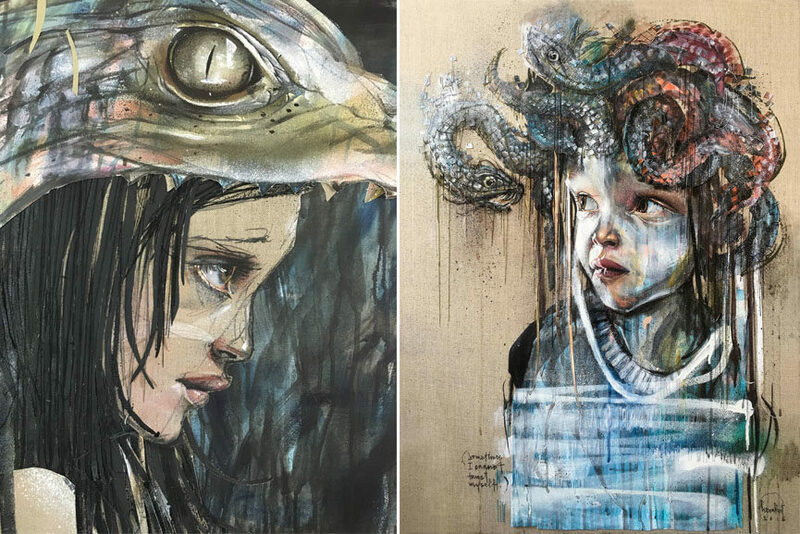 Douce Folie, an exhibition of works by Herakut, will be on view at Galerie Mathgoth in Paris, France, from November 25th through December 24th, 2016. 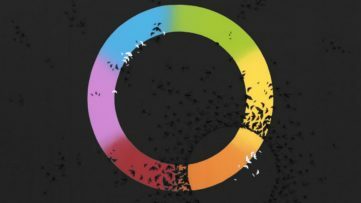 The opening reception is scheduled for November 25th from 6pm, and the artists will be present. All images courtesy Galerie Mathgoth.